Welcome to our friendly family hotel on the island’s sunny south side. 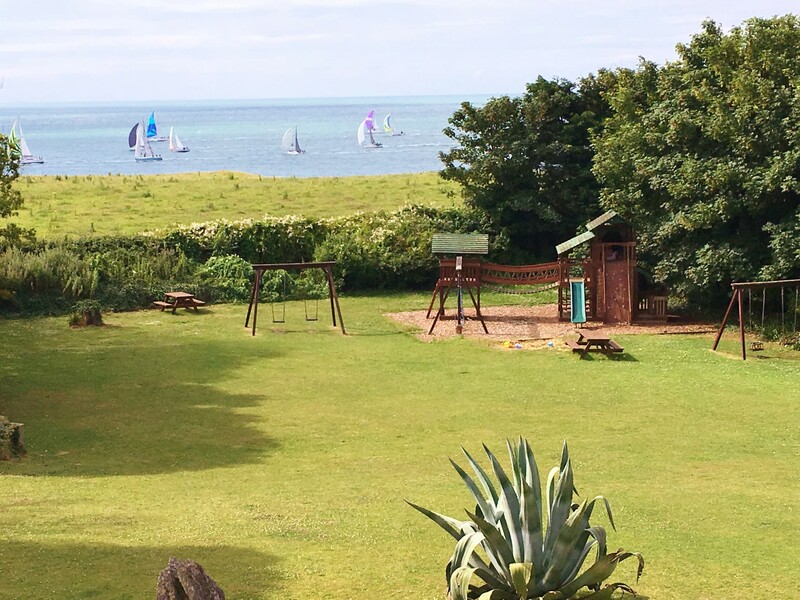 Old Park Hotel enjoys a picturesque, secluded setting with 16 acres of grounds, an abundance of wildlife, easy access to coastal paths and beautiful sea views. 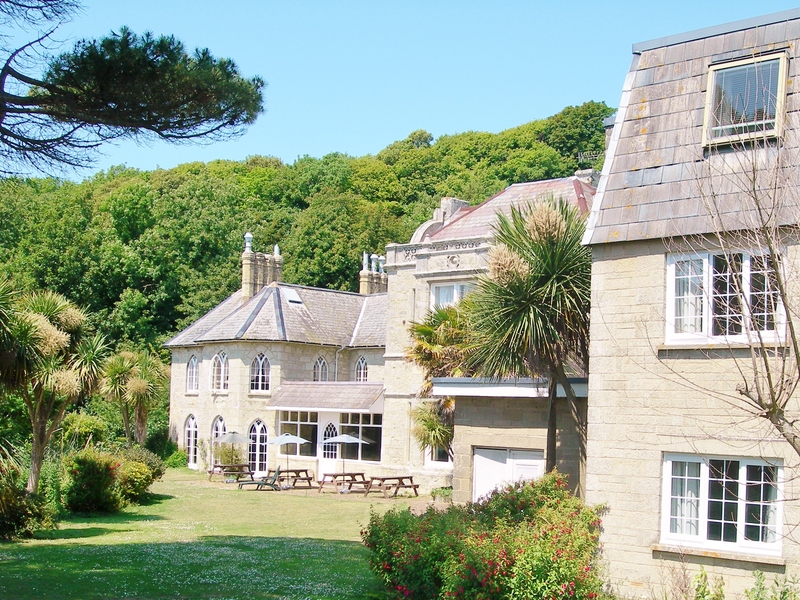 Situated in the warmest part of the Isle of Wight at the village of St Lawrence, the hotel benefits from the remarkably mild and sunny microclimate of the Undercliff. Just a couple of miles away is the Victorian seaside town of Ventnor, with its harbour, sandy beaches, shops, pubs and restaurants. IDEAL FOR FAMILY HOLIDAYS • Relaxed informal atmosphere • Family suites as standard • Extended suites for larger families • Indoor soft play area • Heated indoor swimming pool with toddlers’ pool • Outdoor play area • Spacious grounds and surrounded by nature. 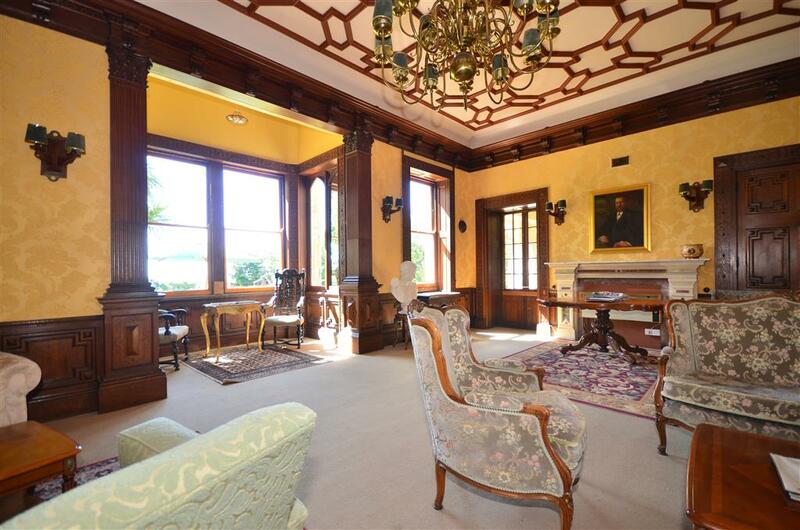 Our 30 rooms, including more than 20 family suites, are located either in the main house or in the adjoining family wing. All have en-suite bathrooms or showers. There is ample free parking for all guests in the hotel grounds. We offer lunches, bar snacks and a selection of light and healthy evening meals. Selected wines from around the world and locally-brewed Isle of Wight ales can be enjoyed in the relaxed atmosphere of the bar or at the outside tables in our south-facing gardens. With a journey time of less than 2 hours from London, the Isle of Wight is the ideal holiday destination. It offers a fantastic range of activities, historic sites, family attractions and beautiful nature. Old Park’s secluded location at the sunny southern tip of the island is an exceptional place to see nature. Local badgers feed each evening directly outside the bar window and red squirrels can be seen in the gardens. Binnel Bay is just a 5 minute walk away through the woods and has a wild, remote beach which is perfect for rock pooling at low tide. 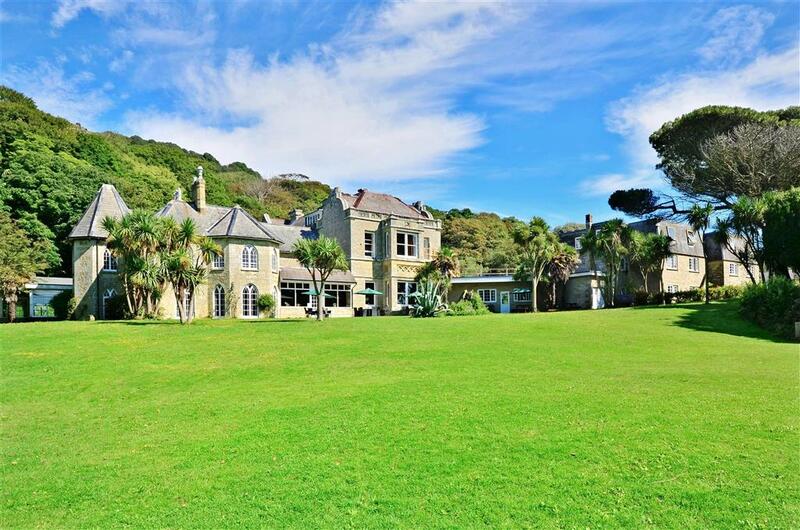 Nearby attractions include the Ventnor seafront and Blackgang Chine. BOOK DIRECT FOR BEST RATES. WE MAKE BOOKING DIRECTLY WITH US WORTH YOUR WHILE, WITH BEST RATES GUARANTEED, BEST ROOMS, NO HIDDEN EXTRAS AND ADDITIONAL SERVICES FOR FREE. Dogs are welcome at Old Park and you can request one of our dog-friendly rooms at no extra cost when you book direct.